Sir Richard Branson is supporting Amnesty International’s new “Brave” campaign for human rights. 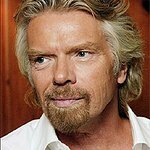 “In 2016, people in at least 22 countries were killed for peacefully standing up for human rights,” blogged Branson last week. "That’s more than 10 per cent of the world’s countries. That number increases to 94 countries if you take into account all those threatened or attacked. That’s almost half the countries in the world. “That’s a set of figures I find truly worrying. It’s the basis of Amnesty’s latest campaign, Brave – raising awareness of the individuals standing up for human rights across the world. Brave is a chance for us to recognise the courage and intrepidity of those who risk their lives in the name of human rights every day to make this world a better and safer place. “These people are defined by the international community as Human Rights Defenders (HRDs), “someone who, individually or in association with others, acts to defend and/or promote human rights at the local, national, regional or international levels, without resorting to or advocating hatred, discrimination or violence”. “The causes they continue to fight for – from protecting the environment to ensuring equal rights for women – are ones extremely close to my heart. What is most frustrating is the increasing rate at which these brave people are killed: from 156 in 2015 to 281 in 2016. “Bravery is something I’ve mentioned many times before, mostly in the context of business. It’s a trait that means you’re willing to stand up and say you’re not happy with the status quo. The Human Rights Defenders honoured by Amnesty’s campaign exhibit this quality to the highest degree, willing risk everything for what they believe in. “I have enormous respect for the individuals, locally and internationally, who have stood up against unjust regimes. Most are never known, and many are currently languishing in prison simply for raising their voice in support of the principles and values we should all hold dear. Where in the world would we be without this bravery? To find out more about Amnesty International’s Brave campaign, click here.